Because Sony is distributing Spectre, the next James Bond film is the latest movie to have all its dirty laundry aired to the internet. Compared to the furors over Jobs and Cleopatra, the Spectre gossip is relatively low-key: MGM wants Bond producer Barbara Broccoli to cut the film’s $300 million budget, and Broccoli, predictably, doesn’t want to. 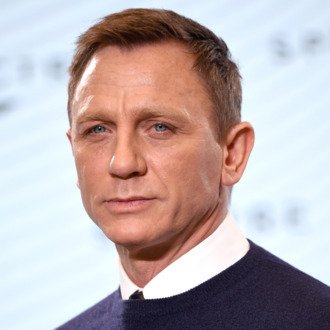 But elsewhere in the emails, key details about the film have emerged, including the confirmation that Bond will indeed face off with Spectre head Ernst Stavro Blofeld (though whether or not Christoph Waltz will play Blofeld is still painfully unconfirmed). Blofeld will also be joined by a “lesbian bad lady,” who will probably continue the Bond franchise’s not-always-stellar track record on LGBT issues. The leaked emails also reveal who Andrew “Moriarty” Scott is playing in the film: He’ll be “C,” a new Bond boss at MI6, and he’s allegedly being paid $1 million less than Chiwetel Ejiofor was offered for the role. Casting people who haven’t been nominated for Oscars: That’s one novel way to keep the budget down.